Being able to send money from Skrill to Mpesa (mobile money wallet) is awesome, considering the speed, convenience and fair exchange rates. But what happens when you log into your account and try to send money to Mpesa and you keep getting errors. Well, the errors are mostly due use of unverified Skrill accounts. Freelancers keep asking what’s the best option out there to verify skrill accounts. There are various methods available to verify skrill accounts but in this blog post I will focus on how you can Verify your Skrill Account using an Mpesa Statement and ID Card (identity card). My main reason for choosing to verify skrill using an mpesa statement and my ID card was due to the fact that I have not used a bank account in over a year and skrill required an updated statement of some sort to confirm my identity. What option did I have? Mpesa. Mpesa is a revolutionary mobile banking system and the Future of Banking. Ensure that you request a statement that is 3 months old, this is per the Skrill requirements. Any customer care will want to print the statement for you at a fee but the best option is to let them know that they can send it to your email address as a PDF file. This will do away with the issue of re-scanning the printed statement and also save you some money. This is the step to upload your Mpesa statement and your ID card Scans. Ensure that you upload your Mpesa Statement and ID card on the Upload Documents tab and once you are done, click on the send message button. Step 4: Wait for Skrill to verify. This is the final step to verifying your skrill account and all you have is wait for skrill to verify your information. In a situation that it takes more than 2 business days before skrill gets back to you on your verification status, give them a call on +44 203 308 2520 Mon – Sun 09:00 – 18:00 GMT. The importance of verifying online payment accounts cannot be emphasized enough. Verifying your skrill account will increase your transaction limits and also keep your Skrill to Mpesa transactions error free. Have anything to add? Let me know in the comments. Wow! Very detailed procedure that any layman can follow. My only input is on the Mpesa statement. It may sound time consuming having to visit a Safaricom customer care outlet, therefore I think it’s easier getting the Mpesa statements via opening an account online on the safaricom selfcare platform. Hope that sounds even easier. You are most welcome Kim. Thank you for taking time to read my blog post and provide your input. Before I visited Safaricom Customer Care I tried downloading my statements from the online portal but it was not possible for me to do that and this prompted me to visit customer care. I decided to inquire and they said that it is not possible to download the statement online. I hope this clarifies the issue of visiting customer care. Hi David. Nice tips on verifying Skrill using Mpesa. Can’t someone get an Mpesa statement online, at the Safaricom self care portal? Thanks for you engagement. Highly appreciated. I tried getting my statement online and it was not possible for me to do that. I therefore had to opt to manually visit Customer Care to get the statement sent to my email address. Thanks for stopping by. I would go for Skrill to Mpesa if you want your money quick and at your convenience. If you want to get more money do Paypal to Equity but it takes longer to get money in your account. I hope that helps. This is going to save most freelancers the hectic hustle of using more expensive payment options like PayPal. 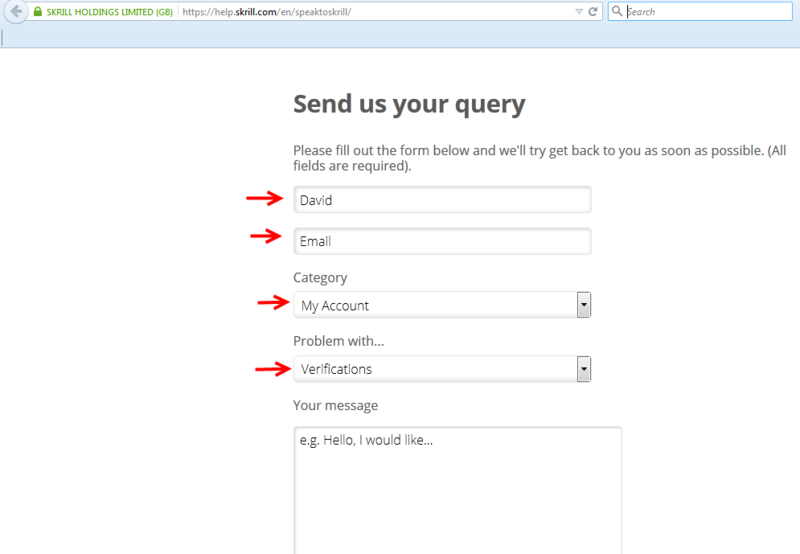 Indeed it looks easy verifying your Skrill account.